Posted on November 14, 2018 by Heather W.
Eating healthy can have a lot of benefits. Whether it is maintaining a healthy weight, decreasing your blood pressure or keeping your blood sugar at the proper levels, the right foods can have amazing benefits. But what about your brain? 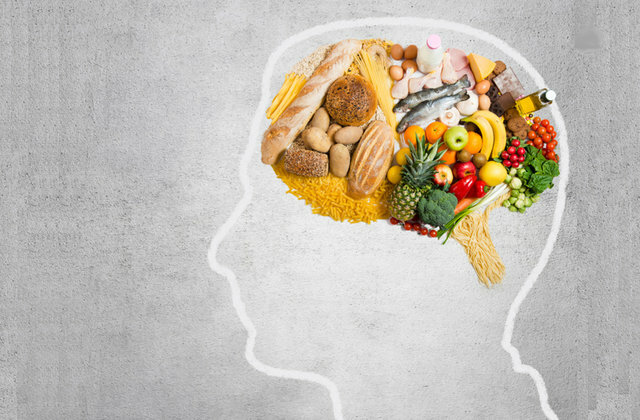 Are there foods that can help your mind stay sharp and active? If so, those are definitely foods you would want to work into your diet! Well, guess what- there are foods that will help keep your mind sharp! This list only scratches the surface of brain healthy foods but an experienced catering company will be able to give you even more ideas and also be able to work these foods into your meal plan. Aren’t personal chef’s the best?! Call your favorite cater soon to get these beneficial foods into your diet as they are the perfect way to start eating toward a healthy brain. Although they may be small, blueberries pack a serious punch when it comes to nutritional value. You may already know that blueberries are full of antioxidants that can help with heart health but did you know that they also help to protect the brain from oxidative stress? By preventing this stress on the brain, the signs of Alzheimer’s disease significantly decrease. Eating blueberries regularly will also improve your learning capabilities and help with your fine motor skills- studies on rats have even proven this fact! So, a few delicious blueberries mean a healthier mind- grab that second handful for sure! Salmon has long been prized for its health benefits and you may have even heard the term “Omega-3’s” tossed around in relation to salmon before. What are these mysterious powerful nutrients? Well, they are a very beneficial fatty acid that is essential to proper brain function. Think of fat as a warm winter coat for the neurons in your brain- it is something that is definitely needed! Our bodies however are incapable of making the type of fat that our brain likes so we need to ingest in in order to keep that warm coat on our neurons. Omega-3’s is exactly what our body wants and salmon is full of them! So ask your experienced caterer or personal chef for an extra serving of salmon- your brain will thank you! Avocados are full of beneficial fats, monounsaturated fat to be exact. This fat helps with the blood flow in your body and, a healthy blood flow means a sharp brain. In addition, eating avocados can help lower your overall blood pressure and a lower blood pressure means your cognitive abilities won’t decline as you age as it does in those with hypertension. So if you want to add a few extra slices of avocado to your morning avocado toast, go right ahead! Your brain agrees that it would be a good decision! Beans is an interesting food that has a lot of surprising benefits when it comes to brain health. You may have overlooked beans in the past as they are a cheaper, more mundane food compared to others on this list. However, you need to stop discounting the beans! Beans help stabilize blood sugar levels and, as the brain is reliant on glucose (blood sugar) to help it function, it needs a nice, steady stream of this sugar to function properly. Beans help keep the blood sugar flowing to your brain at a nice constant rate, no spikes or dips! Thanks, beans for keeping us alert and sharp all day! These tiny seeds are one of the most antioxidant packed fruits out there. Antioxidants fight free radicals in our body. What exactly does that mean? In the most basic of terms, free radicals are particles in the body that are damaging- the can cause cancer, cardiovascular disease, inflammation and so much more. Antioxidants scavenge on free radicals, preventing them from forming or making them breakdown. Doesn’t that sound like something you want?! Eating pomegranates will give your body a big dose of antioxidants. As your brain is one of your most sensitive organs, it is very susceptible to free radical damage so get those antioxidants in your diet to keep your brain healthy! Pomegranates are a perfect place to start. If your mind feeling hungry now? If so, you know exactly what foods to feed it! All of these top five foods can easily be incorporated into your diet to help keep your mind sharp. Consult your local experienced catering company to learn how to eat more of these beneficial foods.